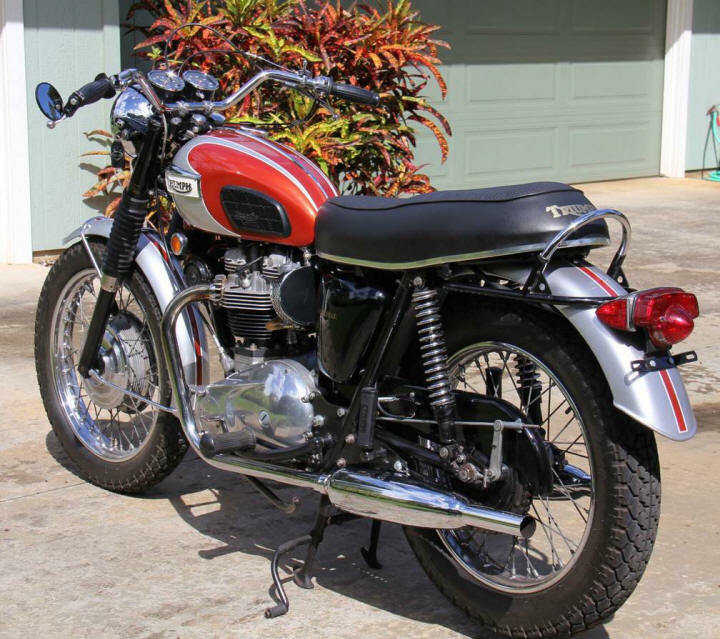 The late 60's was the pinnacle for the Triumph Bonneville. This is a true example of one of those motorcycles. 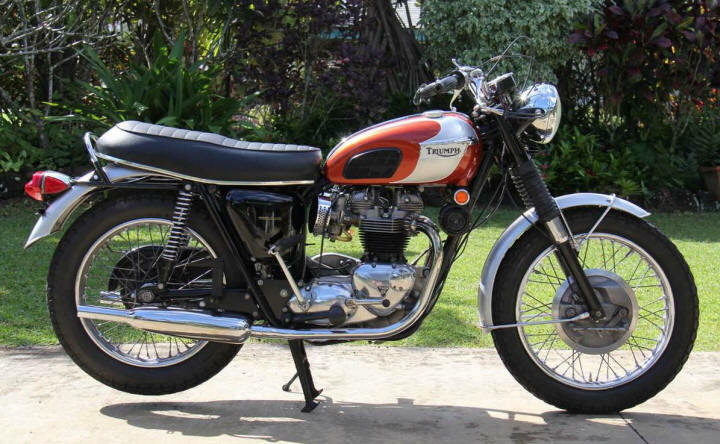 Powered by a 650cc Vertical Twin with twin carburetors. 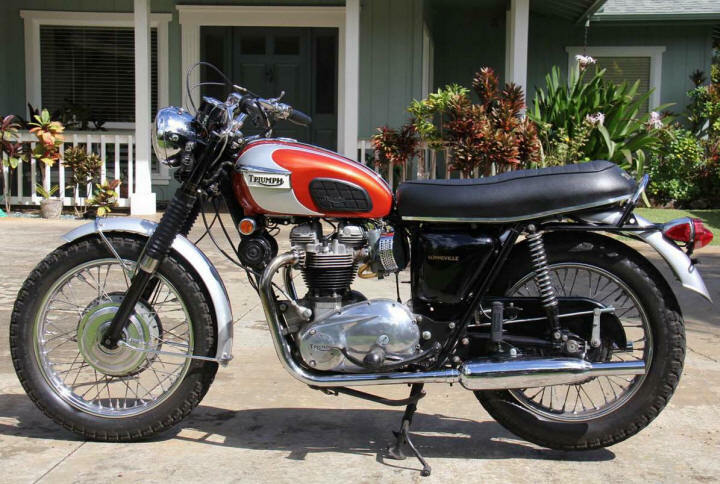 This classic is in excellent condition all around. First Kick Start and Dependable. Restored several years back. Purchased from Classic Motorcycle Dealer Baxter Cycles in Marne, Iowa. The most desirable color of 1969 was Olympic Flame and Silver. Always garage kept. Everything works. Runs strong. Registration and Inspection is current. 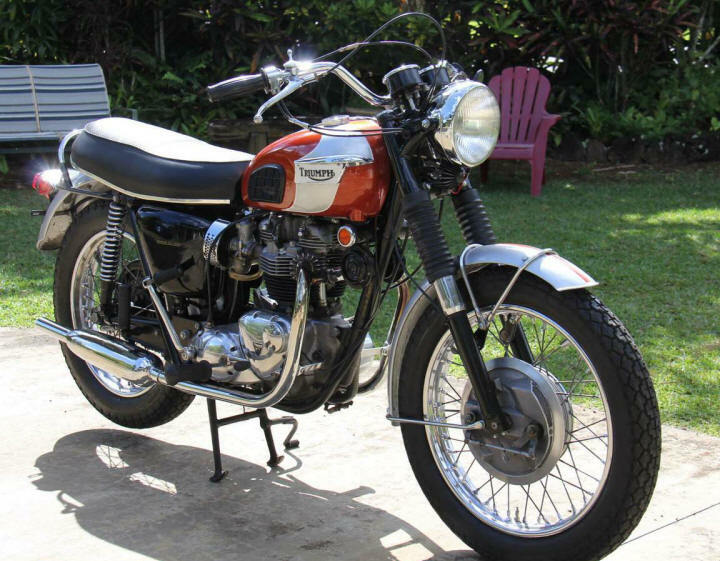 Bike is located in Hawaii. Brought to Kauai in 2014. Shipping is included to the west coast (LA, SF, Tacoma) with a full price offer. Asking $11,000.